A new update, XXEMG4, with Android 4.1.2 was released for Samsung Galaxy S III GT-I9300 in Ukraine. Update XXEMG4 should be available in Kies if you live in Ukraine or through OTA. 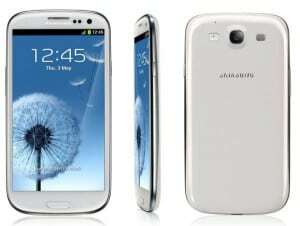 If you want to manually update Samsung Galaxy S III GT-I9300 to latest Android 4.1.2 XXEMG4 you can do so using Odin. Our recommendation is to wait for the official XXEMG4 update. If you choose to update your Samsung Galaxy S III GT-I9300 using Odin, you have to do it on your own risk. Continue the installation by following the steps here: How to manually install update XXEMG4 Android 4.1.2 on Samsung Galaxy S III GT-I9300 using Odin.